Once again, the champion Rudra Pratap Singh (IIIrd) has won. Samsara feels exhilarated on the well deserved victory of Rudra Pratap Singh at CBSE National Skating Championship. The young roller skater bagged gold in 1000 mts. and silver in 500 mts. in the championship held at Amritsar from 29th December 2016 to 1st January 2017. Karate is a martial art used for self- defense. The techniques employed in this art require hard- work and dedication. Jyoti Rani ( class IX) is a proud owner of black belt. She proved her rightful ownership at Karate Championship held on 23rd and 24th of April, 2016 at Talkatora Stadium, Delhi. Jyoti Rani, a young Karateka, of class IX-A won Gold Medal in Sanshikan Karate Championship held in Delhi. She never fails to bring laurel to the school. She exerts herself vigorously in order to emerge as a winner in every competition she participates in. Congratulations! Our students swept off the ground beneath everyone's feet in the Speed Skating CBSE National Cluster. They performed par excellence in the selection round held at IIMT Academy in Meerut ( East Zone). Milind Sharma and Rudra Pratap Singh performed to the best of their abilities. Milind Sharma ( Class XI) won bronze in both 500 meter and 1000 meter speed skating. The younger one Rudra Pratap Singh ( Class II) left every participant behind in the Under 8 category, won gold in both 500 metre and 1000 metre in inline skating. We extend our heartiest congratulations to both the boys. Rudra Pratap Singh is selected for Nationals, The next competition is going to be held in Gujarat. Who doesn't like if victory is always on repeat mode! Milind Sharma , class XI, was again victorious in AMATEUR INVITATIONAL & MEERUT DISTRICT OPEN ROLLER SKATING CHAMPIONSHIP 2015-16. 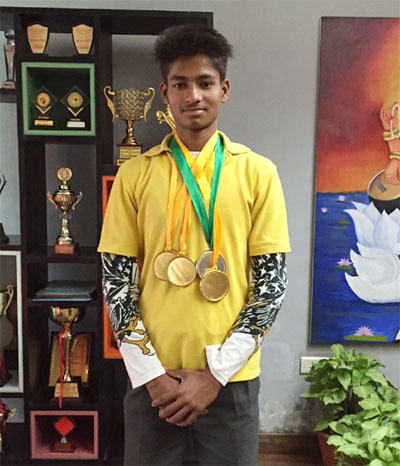 He left all his opponents behind and brought TWO GOLDS and a SILVER in the said championship organised by MEERUT DISTRICT ROLLER SKATING ASSOCIATION at Translam Academy International Mawana Road, Meerut on Sunday 13 December 2015. His consistent performance shows us that all the sweat that he drips in the rink during his practice sessions doesn't go in vain. In reference to all the previous achievements of Milind we won't dither in recognising that he's an industrious and assiduous sportsperson. Congratulations! Milind Sharma (class XI) has added another feather in the cap of Samsara-The World Academt by grabbing the first position (above 19) at the National Skater Roller Shoot Ball Championship 2015. This championship was held at RainBow Public School, Kopargaon Near Shirdi, Maharashtra from 24-26 October. It is only Milind's hard work and dedication which brings him appreciation and acknowledgment in all the competitions. We wish him luck for his future endeavours. Students of Samsara The World Academy part in inter-school Speed Skating Championship organised at Aster Public School, Greater Noida on 19 January, 2017. Rudra Pratap Singh, Milind Sharma and Saksham Goel bagged 1st, 2nd and 3rd position at the championship, respectively. These young sportsmen displayed an array of refined feats of a sportsman. It clearly shows their determination and hard work. Another remarkable performance in Roller Skating Championship was exhibited by the students of Samsara on 20th January, 2017 at the same school. Kriti Nain (Under 6) won gold medal in 55 metre race. 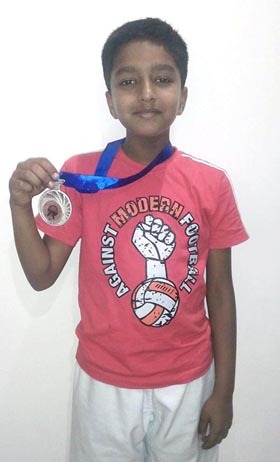 Rohan Nagar (Under 11) got silver medal. In group Roller Ball Skating (Under 12) boys gave a stupendous performance and brought gold medal for the school. For this collective effort Samsara congratulates all the participants. Kudos to our young KARATEKA! Samsara- The World Academy is very proud in announcing that Shreyas Singh of Class V has won a silver medal . He participated in State Level Karate Championship Under 8-9 held in Banaras on April 18th, 2015. 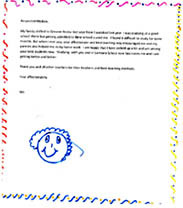 The young lad has made everyone proud and the school is swelled with pride having heard about Shreyas’ achievement. We extend our heartiest congratulation! Nethra Guher from class X wrote, “ Our Experience at Apna School was superb.Shivani Ma’am played a very important role in this. She motivated us a lot. She shared her experiences with us. Most importantly she gave us a chance to go there, which was a superb experience, through which we got a chance to help needy children who don’t have enough opportunities to enhance and explore their talent. Sakshi Paliwal from class X wrote, “ First, all of us were not interested in taking part in this group but when Shivani Ma’am and Jagjeet Ma’am shared their experience of helping needy children, we all were convinced and really felt great after this activity. Siddharth from class X wrote, “ Just like our honorable Prime Minister who is from a very poor family, we don’t know anyone of these poor children could be the next Leader. All they need is a little support which we can surely provide them. Ritika ma’am thank you very much for your hardwork and results are visible, reflected on Anvita. Thank you very much again. Dear ma’am thank you very much for your efforts. Anvita is doing great. We are really happy to see her progress. She has changed a lot and doing pretty well. It is a great attempt on the part of the school to give special care to the kids who are not able to keep pace with their colleagues. I really appreciate it and request to keep going. Two students of Samsara – The World Academy brought laurel to the school by winning various competition held in “MELANGE” in Pragyan School. Shaurya Singhal of class XI bagged 1st position in the photography competition and Rhythm Rana of class IV bagged III rd position in Sudoku competition. 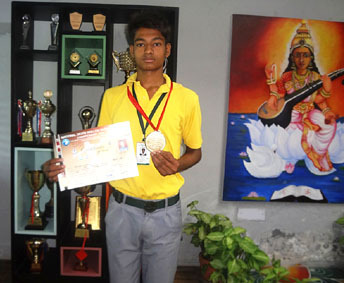 Rudra Pratap Singh of class I of Samsara - The world Academy school brought laurels for the school when he won gold medal in Noida Open Skating Championship in inline category held on 14, April 2014. We are proud to mention that Milind Sharma, a student of Class X, has been selected in INTERNATIONAL ROLLER-BALL SKATING CHAMPIONSHIP, that is going to be held in the month of August in KATHMANDU, NEPAL. The school management has celebrated his success by awarding him a sport scholarship of Rs.10000/. We wish him all the best. Teaching at Samsara is a blend of high value deliveries with modern learning tools to ensure that each child performs at his/her best. To motivate young children and inculcate a competitive spirit amongst them, we are registered with SOF- SCIENCE OLYMPIAD FOUNDATION (not-for-profit) Education Foundation popularising Science, Maths, English and Cyber exams for 16 years. 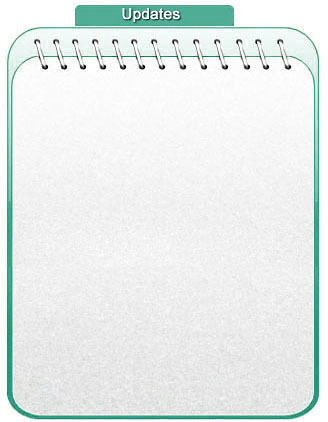 SOF OLYMIAD is associated with the British Council, The National University of Singapore and the BBC Knowledge. Tulika Chaudhary of class Kg and Kaustuv Singh of Class I-B, have won laurels for school in POSTER-MAKING COMPETITION organized by RBMI institute, Greater Noida on 26th January, 2014. It was a great fun for children to paint in the sunshine in open ground on the topics- Future India or Republic Day. The patriotic fervour of the students was doubled up in the lap of nature. The little painters Tulika and Kaustuv got first prize in the age group 5-8. “We worry about what a child will become tomorrow, yet we forget that he is someone today” keeping this in mind we had organized an “English Poem Recitation Competition” to give the tiny tots an opportunity to showcase their talent in front of audience. They came out like bright shining stars and won the heart of all. They all had shown great enthusiasm and recited the rhymes with actions and props. We appreciate their sincere and concerted efforts to make this event successful and memorable. Manya Jindal Of Std IX won the First Prize in Inter School Poster Making Competition held at Savitri Bai Phule Balika Inter College 18 on Nov 2013. Krishna Kant Yadav of Std IX and Kunal Rawal of Std IV got the verbal appreciation from the Principal of Sriram Millennium School, Noida on their exemplary performance in 'Shri Literary Fest' held on 21 Nov 2013.